In recent years, laser dentistry has superseded many traditional dentistry practices, making treatments more precise and less painful. At Elgin Corners Dental in Surrey, we provide modern laser dentistry. Laser dentistry is incredibly versatile and plays an important role in a growing number of common dental procedures. Though laser dentistry is most notably associated with cosmetic treatments, it is equally effective for preventative purposes. Reshaping soft tissue – Dental lasers can dissolve soft tissue to expose more of the natural tooth, reshape soft tissue to make “gummy smiles” more attractive, and remove uncomfortable soft tissue folds caused by denture wear. Different types of dental laser have been created to treat different conditions. The most common types of dental laser are carbon dioxide lasers and diode lasers, which are usually employed to treat soft tissue problems. The dentist will decide which type of laser is best to use after conducting X-rays and a thorough examination. The laser beam is extremely bright, and special glasses will be provided to protect the eyes. Contact Elgin Corners Dental today and book an appointment with our experienced dental team. At Elgin Corners Dental, our dentists and team are committed to preserving and improving the oral health of the Surrey community through conservative, up-to-date procedures and great patient-dentist communication. Read our blog for regular oral health tips and advice from our Surrey dentists. Which type of electric toothbrush should I get? The type of electric toothbrush you choose is largely down to your personal preference, however there are a few features that many dentists recommend. How a dental implants feel? Implants give the wearer a very natural look and feel, but exactly how natural do they really feel? Looking for a dentist in South Surrey? We're your team. 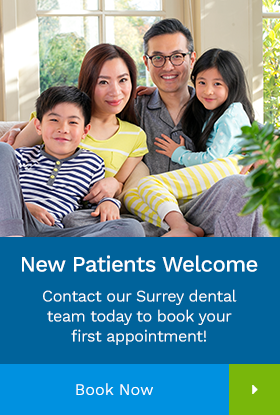 Contact our Surrey dental office for answers to your questions, or to book an appointment. Copyright © Elgin Corners Dental 2016-2019. All Rights Reserved. Connect with Elgin Corners Dental on social media for tips, advice and updates about your oral health and our services.